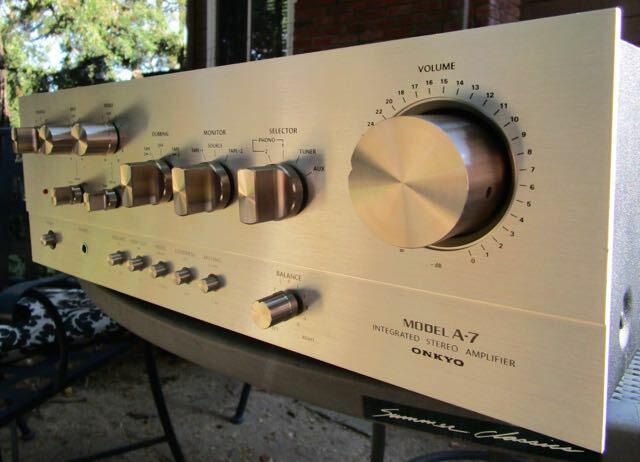 Onkyo in the 1970’s made a series of classic amplifiers, the A5, A7 and A10. These are excellent amplifiers, over engineered, with heavy solid face plates, and copper grounding plates in the chassis. They all have very large reservoir capacitors and use very good quality components. I have worked on the A7s and an A10, they both reward upgrading, providing superb audio quality with very low noise and distortion.